An expansive history of how the global tea industry influenced the international economy and the rise of mass consumerism. [Rappaport] he tells with authority how tea and the culture of tea drinking has influenced the greater history of the British Empire and the British-influenced world beyond … Rappaport’s description of the ways in which tea has been marketed over the years is entirely absorbing, especially for an academic audience. Absorbing and, to some, unsettling...Still more unsettling is the coming reality that coffee — quelle horreur! — is fast overtaking tea as the national drink of England. That is seen as a sea change of as much significance as Brexit and the rise of Jeremy Corbyn, the decline of the five-day cricket match and a slipping national fondness for Marmite and Gentleman’s Relish. Meticulously researched, the book showcases materials from archives scattered across the globe to illustrate how one product’s flow across borders was knitting the world together long before the term ‘globalization’ was coined … As much as there is to please in Ms. Rappaport’s work, the book’s main downside is that it tries to please too much, appealing to both specialists and general readers … On the whole, though, Ms. Rappaport’s book is one of relevance to us all. Her section on the Opium War highlights the complex ways that a country’s dependence on a commodity, as well as individual addictions to that commodity, can lead to trouble on an international stage. Today’s equivalents are, still, opium, or another dark addictive liquid: oil. 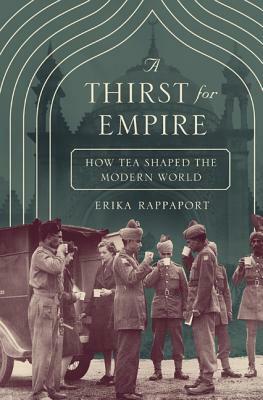 While abundant historical records have allowed the study of how tea itself moved from east to west, Rappaport is focused on the movement of the idea of tea to suit particular purposes … A Thirst for Empire is an authoritative and exhaustive work of scholarship, and Rappaport supports her broad claims by building from the ground up, with meticulous referencing comprising more than 100 pages … Rappaport’s treatment of her subject is refreshingly apolitical. 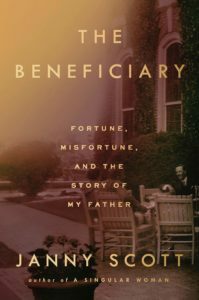 Indeed, it is a virtue that readers will be unable to guess her political orientation: both the miracle of markets and capitalism’s dark underbelly are evident in tea’s complex story, as are the complicated effects of British colonialism. Shortly into this history the reader relaxes: Rappaport is clearly motivated by truth-telling rather than case-making. What did you think of A Thirst for Empire: How Tea Shaped the Modern World?